Simple, long-lasting and easy-to-use. The TributeCollection pays homage to Braun‘s design principles: simplicity and concentration on the essentials – without compromising product quality and durability. Every appliance is purpose-built for specic kitchen tasks – giving you a simple and direct tool to achieve the results you are looking for. -Powerful 800 W motor, silent, compact, guaranteed reliability. 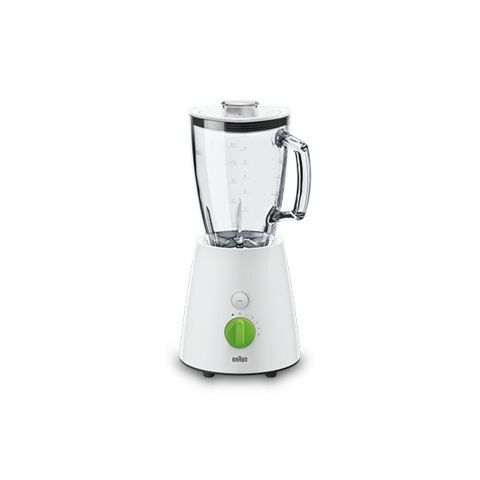 -Up to 5 Speeds - Choose your speed for more precise blending. -Turbo function provides short bursts of maximum power to ensure even finer results and more control for recipes. -1.75L Thermo-resist glass jug: no blending limits – easily blend sauces, hot soups or even icy drinks and more. -Unique triangular jug for efficient blending circulation – creates a horizontal and vertical flow, which increases efficiency and delivers best blending results. -Dishwasher safe - Easy & time-saving - can be disassembled with a few quick steps before putting it into the dishwasher. With the TributeCollection, Braun brings back remastered, technically improved versions of its most popular appliance creations.Purely what you need.Simple, long-lasting and easy-to-use. The TributeCollection pays homage to Braun‘s design principles: simplicity and concentration on the essentials – without compromising product quality and durability. Every appliance is purpose-built for specic kitchen tasks – giving you a simple and direct tool to achieve the results you are looking for. 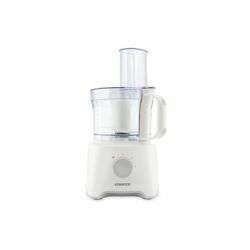 -Powerful 800 W motor, silent, compact, guaranteed reliability.-Up to 5 Speeds - Choose your speed for more precise blending.-Turbo function provides short bursts of maximum power to ensure even finer results and more control for recipes.-1.75L Thermo-resist glass jug: no blending limits – easily blend sauces, hot soups or even icy drinks and more.-Unique triangular jug for efficient blending circulation – creates a horizontal and vertical flow, which increases efficiency and delivers best blending results.-Dishwasher safe - Easy & time-saving - can be disassembled with a few quick steps before putting it into the dishwasher.